Our t-shirt design contest finalists have been revealed, and it’s such a fun group! Voting is now open on the Celebration site. Follow the link below to vote for your favorites. Voting will be open through Sunday, November 11. We’re at the halfway mark of the 2018 Zenyatta Celebration, and the response so far has been incredible. 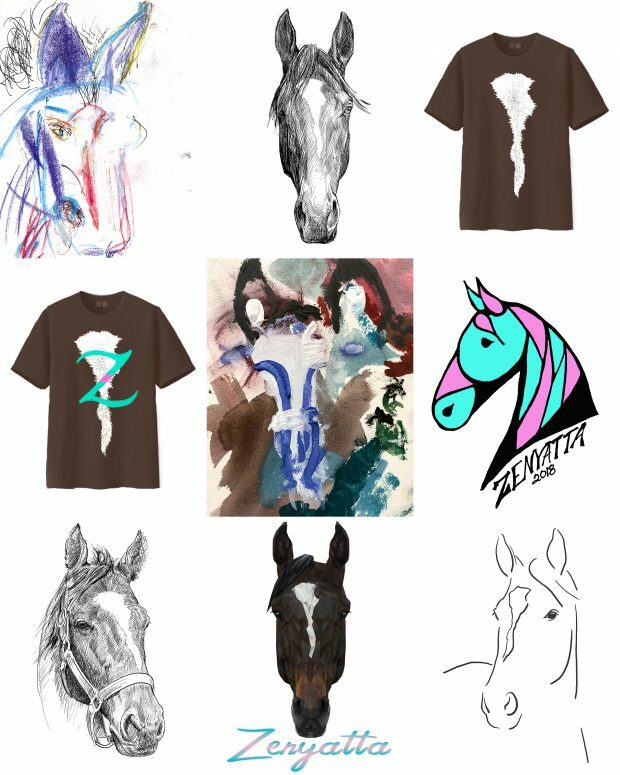 There are just five days left to order a 2018 Celebration Sticker, help us raise money for Retired Racehorse Project, and make sure your name is entered into our grand prize drawing for an invitation to meet Zenyatta! Celebration tip: check this page each day for surprise giveaways! Japan might want Zi because he is a son of Tapit and he is a beautiful horse. I hope they don’t send him though because we will probably not get him back because he was not the big horse I forgot also son of our Queen so that to me is a package!! I liked C and D, with one as the front and the other as the back.